The US-China trade war is heating up with the 2nd round of tariffs. For high volume commodity chemicals, US exports stand to get hit much harder. But it’s the important to keep potential impact on markets in perspective. 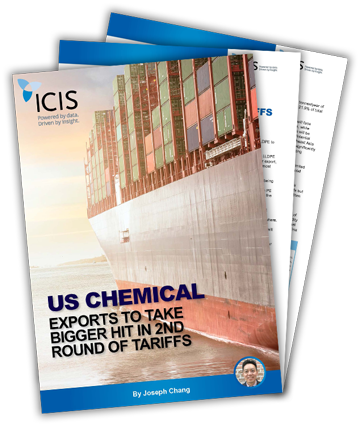 Find out more in the market insight by Joseph Chang, global editor of ICIS Chemical Business.